Valerian is among the most boring movies I've ever seen. Two hours long, it felt like three and all the admittedly eye-popping visuals and after a short while giving you the feeling of being a frog in a blender, the last thing you see is a nauseating blur of bright lights and dark tones before the blades of the machine turn you into minced effluvia. The actors Dane DeHaan and Cara Delevingne are creaking and mechanical in their banter and flirting; they have the appeal of shucked corn. Luc Besson, writer, and director of this protracted and expensive sedative, mistakes expense, expanse and excess as enough for a true thrill ride. For this movie, he should have his head placed against a brick so we may throw a wall at it. The primary problem with the love story, or the flirtation that led up to the eventual profession of love, was that it was a major focus in the narrative; I thought the banter was inane and repetitive; an element made more onerous by that porcelain presence of leads DeHaan and Delevingne, who had zero chemistry. Rather than the matching the qualities we loved seeing in Tracy and Hepburn, Cary Grant and Rosalind Russel l(His Gal Friday)l or Cybill Sheppard and Bruce Willis (Moonlighting), this pair didn't manage facial expressions much beyond his responsibilities to look dreamy and hers to sustain a puckering pout. I don't insist that coherence be central to films I think are brilliant--in cases like Chandler's Big Sleep (novel and the Howard Hawks film adaptation), the author's style and ability to create a nuanced and tangible mood more than compensates for what sense it didn't make. Also, I am quite fond of Zack Snyder's Sucker Punch, which I've seen several times; critics and moviegoers lambasted its WTF plotline, but the set pieces in the films, the fantasy action sequences, are simply brilliant bits of kinetic visual art, a spectacular recreation of the sort of Jack Kirby style gatefold two-pagers that handily disorient and reorient the senses and makes you aware that this space is not where the usual laws of nature apply. 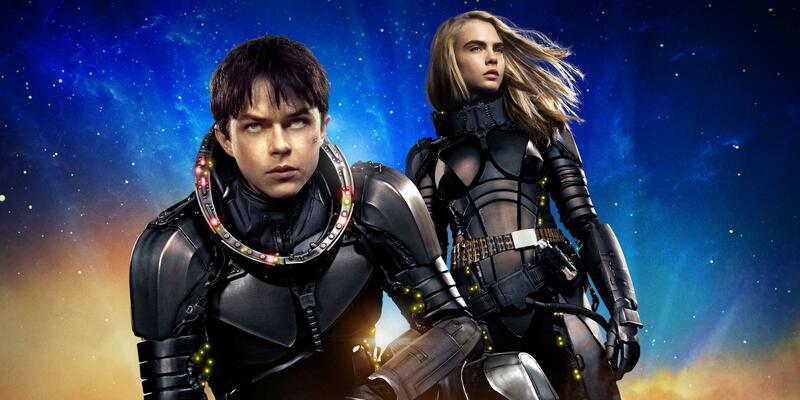 For what Valerian was attempting to do, the kind of story they wanted to tell, we have, I think, is a mess of a project that fails to engage, enthrall, or convince me to forget about how long the film seems. It seemed interminable. One mind-blowing visual after another just made this noisy, cluttered and restlessly frantic without any momentum.